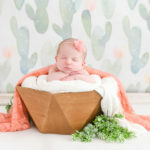 Manhattan Beach Newborn Baby Photographer - Los Angeles based photo studio, The Pod Photography, specializing in maternity, newborn, baby, first birthday cake smash and family pictures. That first photo as a new family is priceless. 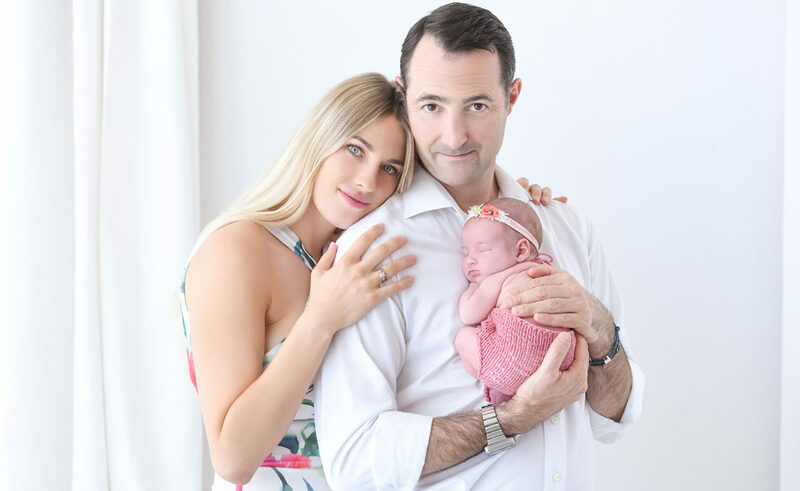 As a Manhattan Beach newborn photographer, we have the honor of documenting these first important memories that a family has with their new child. 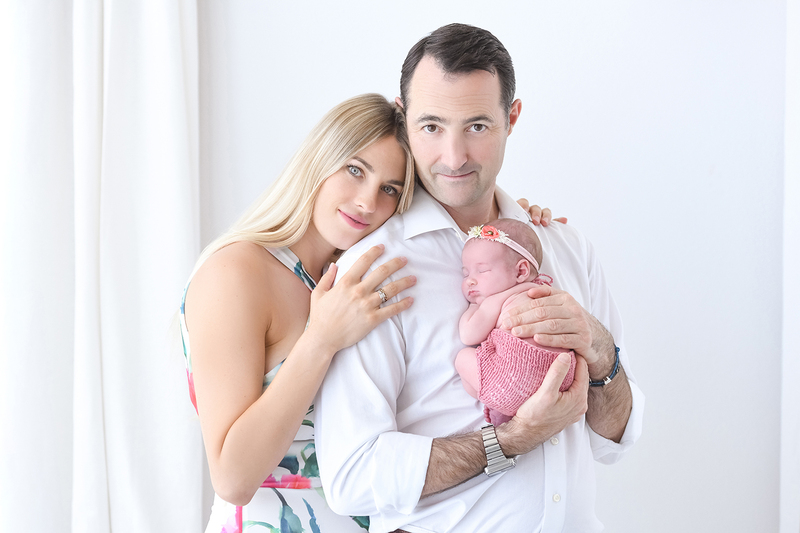 At out photography studio we see families of every type, ranging from those who had a baby surprise to those trying for years. Each family has their unique journey and story, and we love to capture portraits that show the joy a new child brings. Most new moms feel a bit self conscious a week or so postpartum. I often hear a mom say that she doesn’t want to take pictures with her baby because she feel self conscious of the extra weight she is carrying. 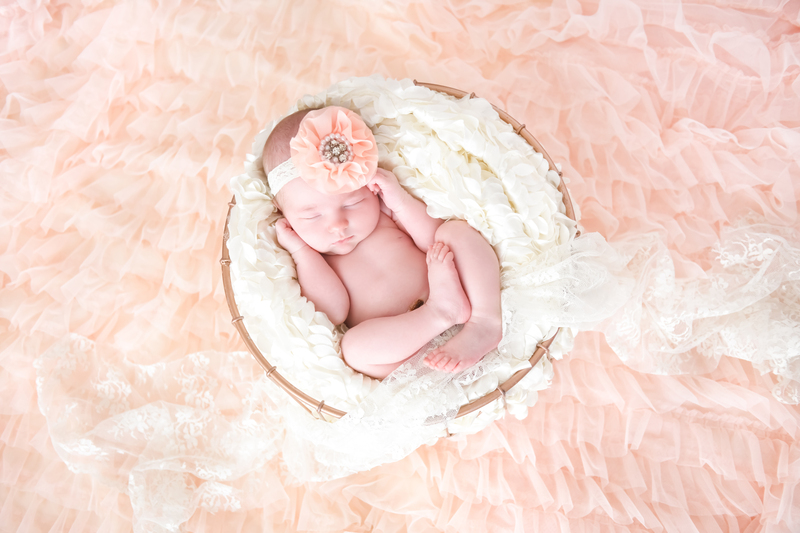 This is understandable, and for that reason we have many ways that we help moms look great in their newborn photos. Wear something that flatters your body. This may seem pretty obvious – but the biggest problem for new moms is that they just don’t own any clothes that fit. They either have pregnancy outfits that are comfortable, or pre-pregnancy clothing that is busting at the seams. 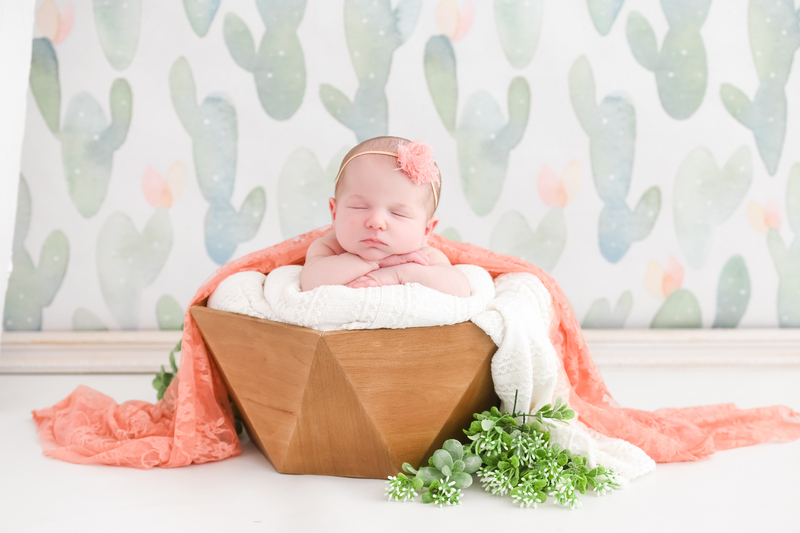 Since we are a professional baby photo studio of over ten years – we offer moms a free dress rental from Rent The Runway included with their newborn photo shoot. 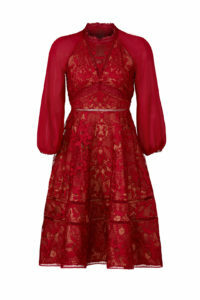 After listening to the mom to hear what her style and self conscious areas are, we suggest some dresses in the color and look they are going for. As a rule of thumb, the best dresses for postpartum moms are knee to floor length, have 3/4 or long sleeves, a high neckline (to add modesty to newly engorged breast,) and are an A-line shape that flares out at about the rib cage. Get your hair and makeup done. Yes, you will need a little cover up and professional help to hide those tired eyes and dehydrated skin. Not to mention, who has the energy to curl their hair after being up three times with a needy baby the night before. 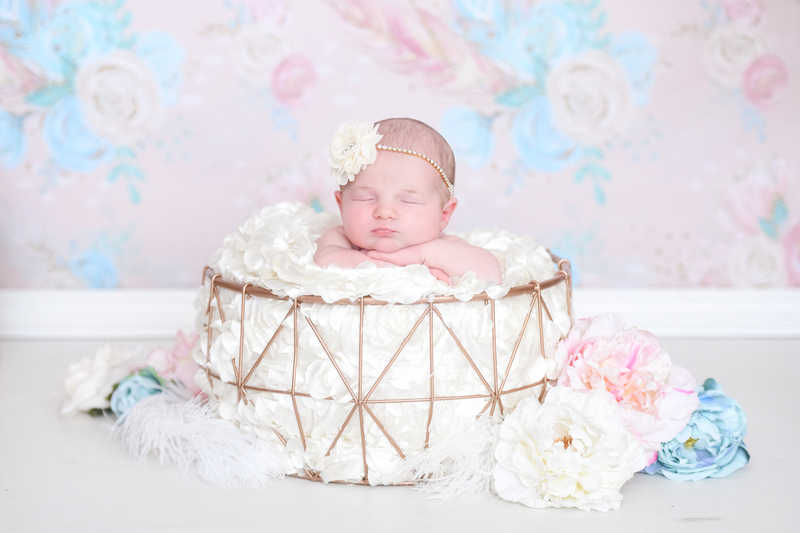 We recommend Glam Squad to our clients coming for their newborn pictures with our Manhattan Beach baby photographer. A hair and makeup artist will either come to your home, or you can have them come to our photo studio at the start of your session. Re-touching. At our studio we have a full time, in-house re-toucher. Even after hair, makeup and that perfect dress, we all need a little help. Many times moms are still swollen or have bruising from where the IV was inserted. 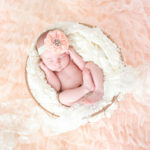 And because of that, included with the pictures of their baby that a client purchases is full re-touching of the photos. We’ve got you covered ladies! The right photographer. Yes, all of these steps really mean nothing if you do not hire a professional portrait photographer. The right photographer will be able to look at your angles and pose you in the absolute most flattering way. Lighting is also incredibly important when taking a person’s pictures. 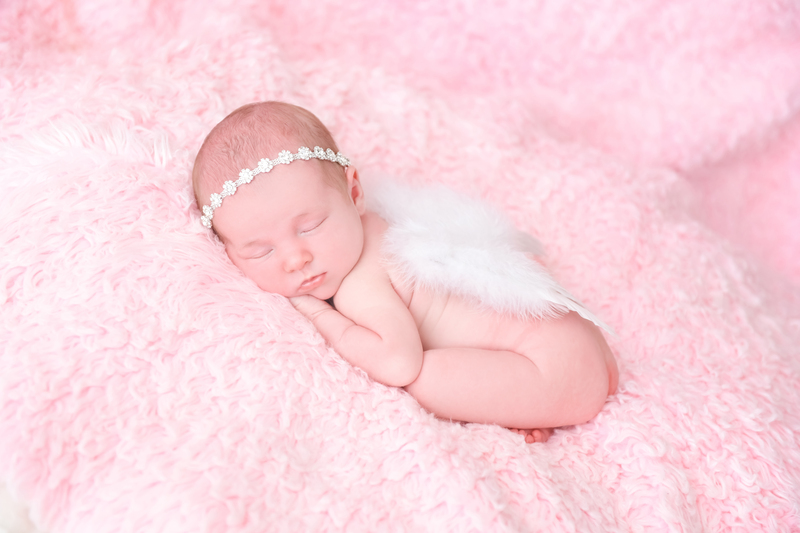 We are considered one of the best newborn photographers in Los Angeles because of our experience, team and the gorgeous pictures we create. We would love to talk with you about your new family portraits and create images that your family will treasure for generations. Therefore, give us a call at our Manhattan Beach photography studio at 310-391-4500.